Ghent, March 26, 2019 – Limecraft® announced today that they have been nominated in the 2019 NAB Show Product of the Year Awards in the category of Artificial Intelligence (AI) and Machine Learning for the world premier of automated localisation of content. 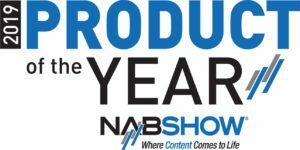 The award recognises the most significant and promising new products and technologies being showcased by exhibitors at the 2019 NAB Show, April 8 – 11 in Las Vegas, NV. Given the massive uptake of OTT distribution and (S)VOD services, enabling producers to unlock content on a global scale, there is a an emerging and growing need for producers and distributors to provide complementary subtitles in different languages. Limecraft is the first to deliver fully automated localisation of content. Producers and distributors can now expose their content in areas that otherwise would not be accessible. NAB Show Product of the Year Award Winners will be selected by a panel of industry experts in 16 categories and announced at an awards ceremony and cocktail reception at the Westgate Las Vegas Resort on April 10. The development of the product for automated localisation of content was partially funded by the Creative Europe programme of the European Commission. Limecraft Flow is a cloud-based Asset Management and Workflow platform optimised for maximum collaboration and productivity. 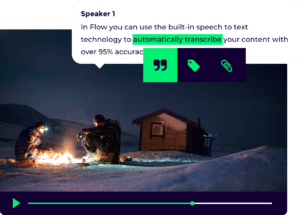 Using AI and machine learning, Limecraft automates repeatable tasks and producers benefit from a pipeline that enables them to produce more and faster, including ingest, logging and transcription, rough-cut, as well as subtitling and localisation. The National Association of Broadcasters is the premier advocacy association for America’s broadcasters. NAB advances radio and television interests in legislative, regulatory and public affairs. Through advocacy, education and innovation, NAB enables broadcasters to best serve their communities, strengthen their businesses and seize new opportunities in the digital age. For more information, visit www.nab.org .